** Above APR assumes a $100,000 loan amount for term stated. Monthly payment example: 120 Monthly Payments of $10.12 per $1,000 borrowed at 4.000% with a corresponding APR of 4.276%. The actual payment will be higher due to escrow on mortgages secured by 1st liens. If down payment is less than 20%, private mortgage insurance is required and increases the APR. 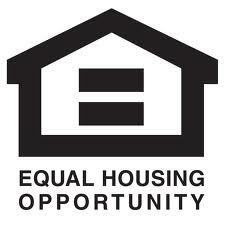 Minimum downpayment equity with private mortgage insurance is 5%. Interest may be tax deductible, please contact your tax advisor. Rates effective March 26, 2019. ** Above APR assumes a $100,000 loan amount for term stated. Loans greater than $250,000 require appraisal fee. Monthly payment example: 180 monthly payments of $7.90 per $1,000 borrowed at 4.99% APR. Requires new money of $10,000. Interest may be tax deductable, please consult your tax advisor. Loan approval subject to Compass Savings Bank loan underwriting guidelines. Limited to owner-occupied single-family properties. * Annual Percentage Rate** Above APR assumes a $100,000 loan amount for term stated. Monthly payment example: 180 Monthly Payments of $7.52 per $1,000 borrowed at 4.250% with a corresponding APR of 4.490%. ** Payment based on $1,000 loan amount per rate and term stated. Subject to Compass Savings Bank underwriting guidelines.